I am quite proud of this one: it was a spur of the moment decision, possibly a result of some combination of recipes from Pinterest and the fact that the oven was on. It is delicious, slightly gooey when it comes out of the oven. This time, it was served as the vegetarian part of my arabic spread, but I can also imagine this being served as a starter at a dinner party. Take one block of feta cheese and place it in an oven-proof dish. 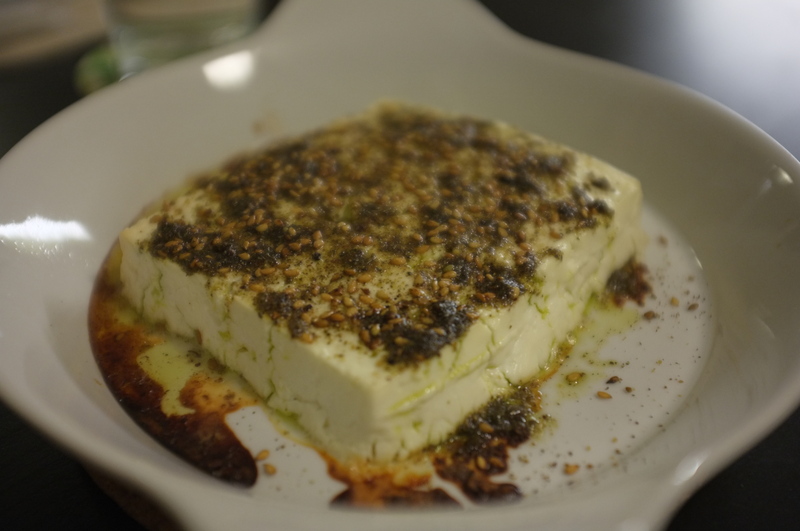 Cover it with two teaspoons of za’atar and a drizzle of olive oil. Roast at 200˚C for 15 min.